With Marvel’s RessurXtion initiative right around the corner, it appears that The Inhumans are in for a whole new chapter in their ongoing mythos. With that in mind, I thought it might be fun to go on a whistle-stop tour of reminiscence celebrating what has come before, and look forward to what 2017 and the future may have in store for the Inhumans books. This could also potentially act as a reading list for you too! 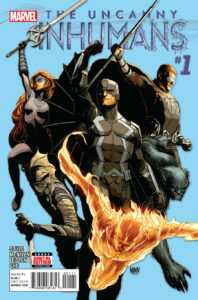 As I see it, the current chapter of the Inhumans’ saga began with The Infinity cross-over event, written by Jonathan Hickman. I had first gotten into comics around the time that The Avengers movie hit theatres (highly recommended!). Hickman was writing the Avengers at the time and the narrative was heading into The infinity Event. Infinity direct leads us into 2014, which was in itself a big year for me – various things happened but ultimately I defeated University and became unemployed (being a student is a full time job – right?). But also in 2014, Inhuman was released! 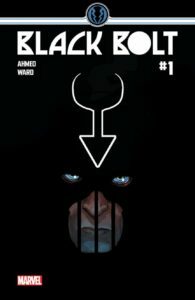 Originally, intended to be written by Matt Fraction the wonderful Charles Soule (who is very vocal about his love for Inhumans) took over. I have to admit, I got Inhuman #1 on a whim. I hadn’t been aware of the Inhumans at all until this point, maybe except Black Bolt – but was never privy to any Inhumans books. Goodness me, Inhuman soon became my most anticipated book, even though it was delayed heavily. 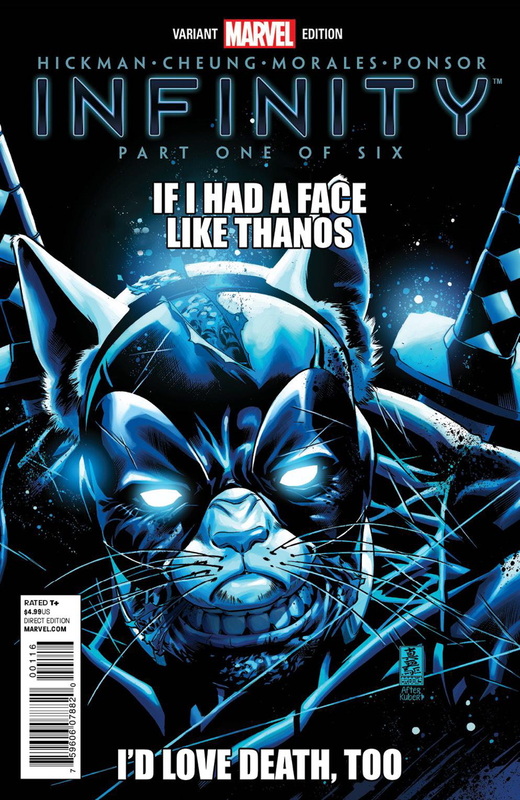 Originally set to be released in the January of 2014, the first issue was released in April 2014 and the following issues began being released in August of the same year. Introducing characters old and new, it began my own love for the franchise. 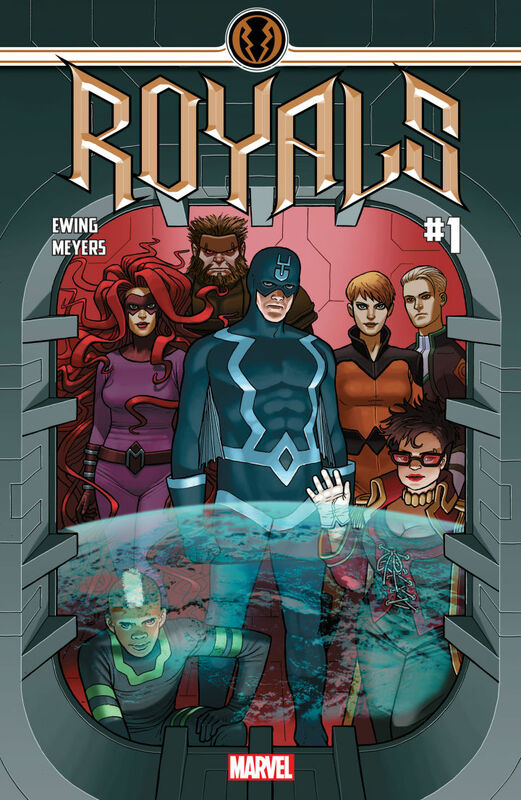 Inhuman introduced the likes of Reader, Frank McGee, Inferno, Flint, Naja whilst re-introducing old favourites such as the Royal Family. But, Inhuman wasn’t to last, whilst that seems to be a thing at Marvel now, get up to around twenty issues then cancel them, arguably the cancellation of Inhuman was due to the next great Crossover Event – Secret Wars. 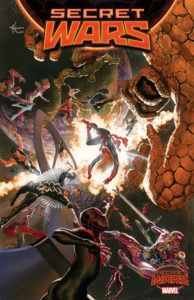 I’m not going to really talk much about Secret Wars in and of itself, although I would like to touch on the Inhuman tie-in, Attilan Rising (the inspiration for the name of this Podcast – whether that makes us imaginative or not, I won’t comment). I hugely enjoyed Attilan Rising, and loved that it introduced a new part of the MU before the end of Secret Wars, The Quiet Room. This was Black Bolt’s nightclub and the unofficial headquarters of the rebel group “The Voice Unheard.” This rebel faction opposed the tyranny of Dr. Doom and Magistrix Medusa and was made up of a wild collection of alternate reality heroes, such as “The Bard” (Matthew Murdock), Karnak, Mega Rad and others. I feel like Attilan Rising, while not particularly necessary in reading for the current books, it’s a really good stand-alone one – I highly recommend it. 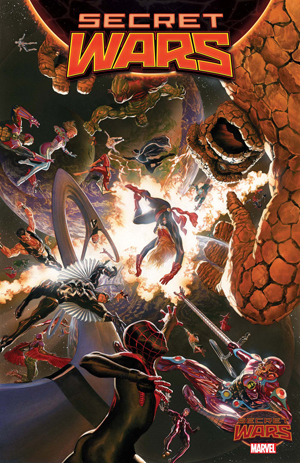 The conclusion of Secret Wars ushered in the All New All Different era of The Marvel Universe. The entire publishing lineup was relaunched with a series of new first issues. This included the introduction of my favourite Inhuman titles to date. 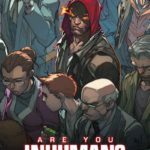 Inhuman ended and was separated into two complimenting flagship titles, Uncanny Inhumans and All New Inhumans. All-New Inhumans written by James Asmus, who graciously came on the show for a special episode, absolutely got it right. 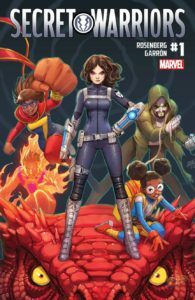 It’s a proper team book, and I absolutely urge anyone to go read it – he said it himself, he was trying to emulate what Claremont did with the X-Men back in the 80’s and and I feel he very much succeeded in his effort. Unfortunately many team books these days seem to suffer a bit because there is often a focus on particular characters each issue, which defeats the point of a team book. But All-New gave many different characters development, panel-time and generally just absolute love. 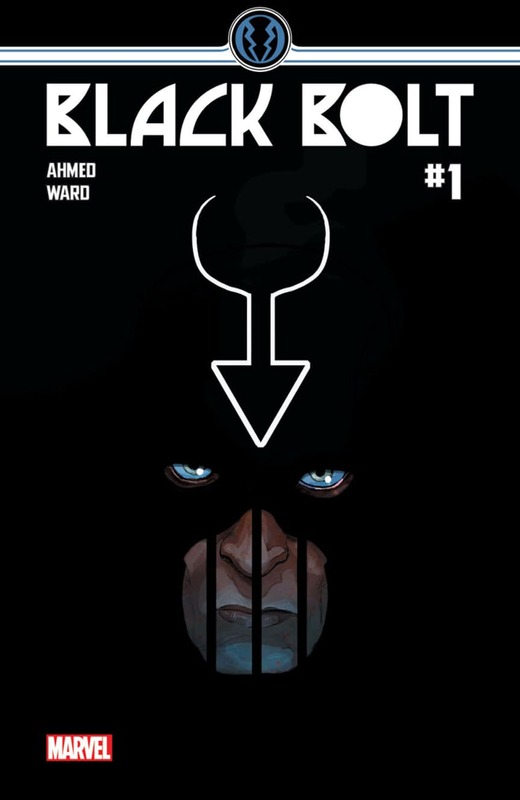 It’s the same with Uncanny Inhumans, whilst I personally think Uncanny had a couple of “filler” issues, generally it’s been an absolutely brilliant book. Asmus and Soule have confidently given us an absolutely outstanding base for going ahead. I reckon you’re all screaming at me now to mention all of the other books that featured Inhumans, because of course, there were a ton of them. Moon Girl and Devil Dinosaur, Ms Marvel, Karnak and Mosaic. 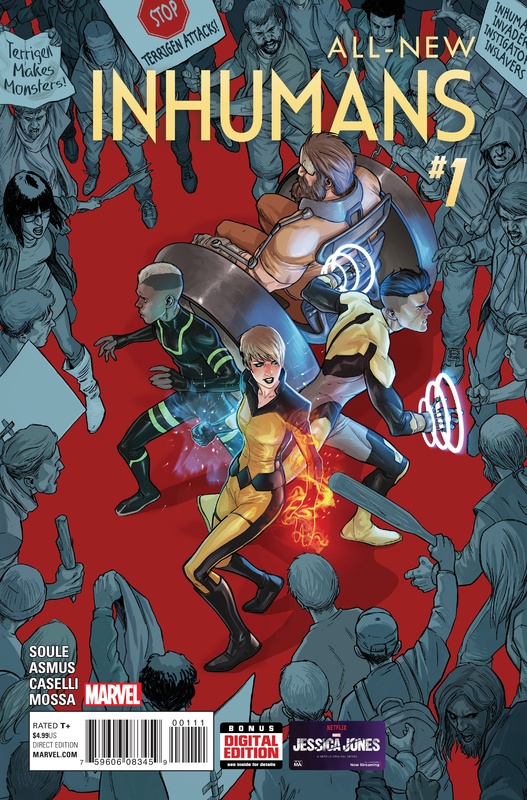 Plus there were also Inhumans featured in many other titles, such as Uncanny Avengers, Uncanny X-Men, All-New All-Different Avengers just to name but a few. I completely agree with those out there who think there has been an Inhuman push – there has. It’s noticeable. Yet what has always been important to me is good stories, and every single one since 2013’s Infinity has been good. Great even. I absolutely urge every last one of you reading this post to go and read those books if you can – you won’t be disappointed. Turning to the future, in Episode 6 Seren, Doc and myself review the new Inhuman titles that are scheduled to be released in the Spring of 2017 following the conclusion of the Inhumans versus X-Men cross-over event. This includes The Royals, a Black Bolt solo series and a new version of The Secret Warriors. 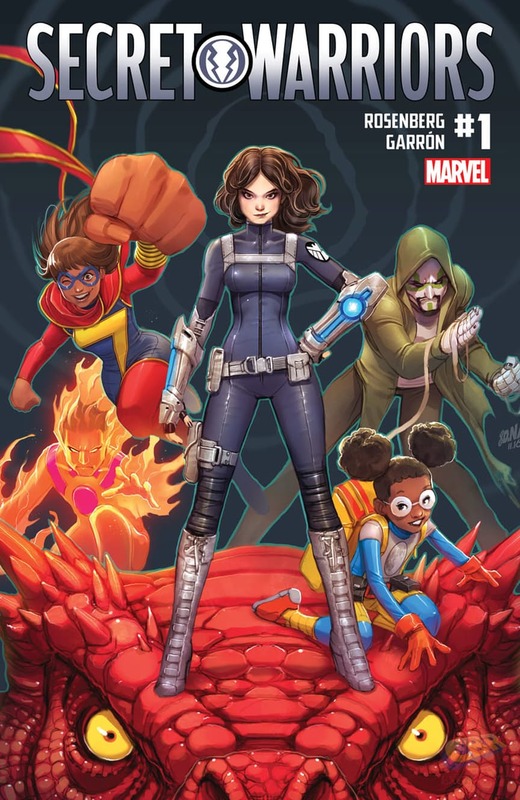 Although no official announcement has been made, it’s a safe bet that Ms. Marvel, Moon Girl & Devil Dinosaur, and Mosaic will all continue on. There is even a possibility that more Inhumans books will be announced some time down the line (I sure hope so). In any case, the three that have been announced so look pretty great and I’m very much looking forward to checking them out. It would appear that 2017 is going to be a pretty big year for fans of The Inhumans, with the upcoming television series and a host of exciting new titles. 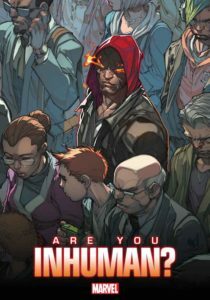 The only thing that has me feeling disappointed is the likely conclusion of Uncanny Inhumans and the fact that Charles Soule will be stepping down from his role as the head steward of The Inhumans. Mr. Soule has done such a wonderful job steering The Inhumans and I know that his involvement will be greatly missed. I’m also hoping that there will be more announcements in the future, of which I’m sure there will be. No matter what though, it’s a great time to be an Inhumans fan. Episode 6 – Moon Girl + Devil Dinosaur, Ms Marvel, Uncanny Inhumans and IvX are all reviewed! This episode sees us joined by none other than James Asmus himself! 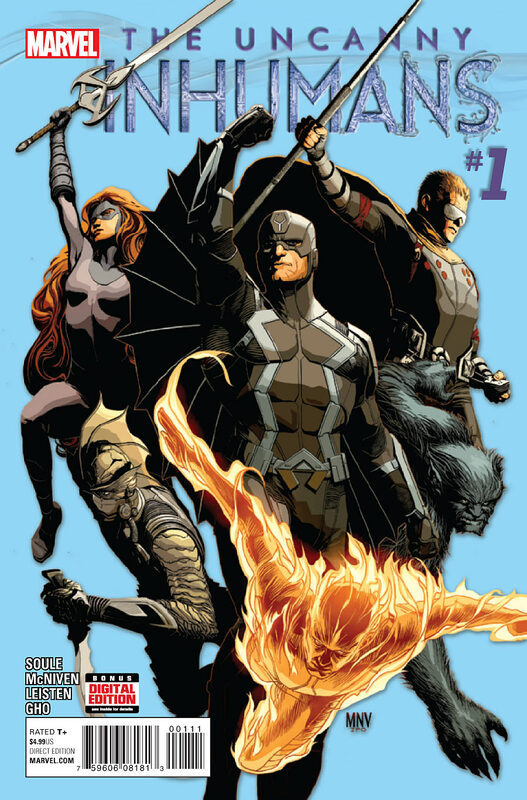 Generally we talk about All-New Inhumans, the direction and many other things besides. An absolutely joy to be involved in and we hope you enjoy. Episode 2 – Inhumans chat, Civil War II and a huge tangent. 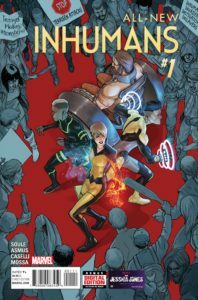 In this episode we begin to talk about the upcoming final issue of All-New Inhumans, Uncanny Inhumans, various other Inhuman books. Alongside the Civil War II event currently happening, comments on RessurXion, Inhumans vs X-Men and Death of X. Episode 1 – Introductions, to you, to us and to the Inhumans! 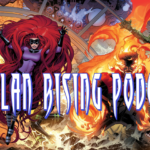 This is the introduction to the newest Inhumans Podcast – Attilan Rising! Your hosts are Seren, Doc and Adam. In this episode we discuss what makes the Inhumans unique, what we enjoy about them and general introductions to us and the show.